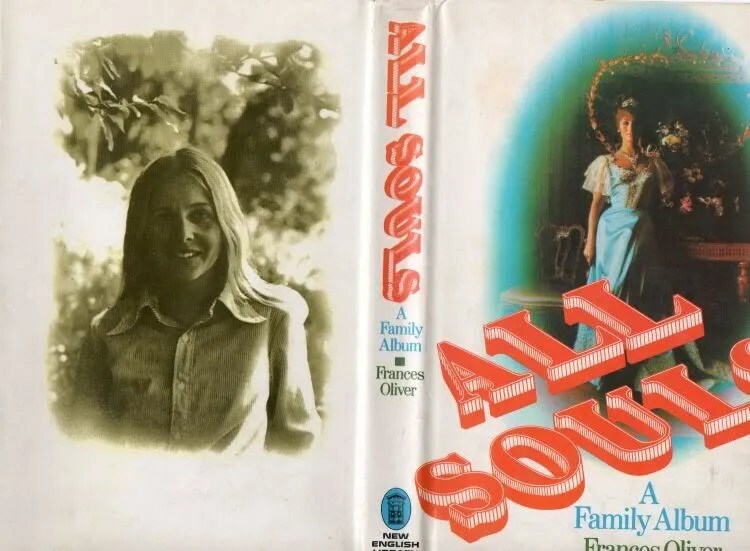 In many ways, I’m glad I’ve left ‘All Souls: A Family Album’ as the last to read of all the novels I think Frances Oliver has had published. (I have also read her autobiographical work – ‘Girl In A Freudian Slip: A memoir’). ‘All Souls’ so far promises to be the most experimental, impressions crowding in on each other with startling power. One needs to grow with Frances Oliver into this book. I genuinely believe her to be the Austrian Elizabeth Bowen, if I can be so forthright. I mean that as an intense compliment. A dynasty of people as houses, houses as people, fracture amid war, and a prose style to die for, which, even at its clumsiest, is simply meant to be clumsy at that point for linguistic or emotional reasons. Contemporaneously viewed Jewish angst of Anschluss and relativity of numbers again – and time paralells effectively accentuating the angsts themselves, i.e. retrocausally and premonitorily by dint of this book’s literary mechanics. One small general criticism – there is a sporadic use of the F word that, to me, seems out of place or grating. But that may be just me. Leonora (Lenni), 41 years old in 1971, is the cross-section of war and displacement (eg America and Austria), just aborted a future (literally)… She is the texture of this whole collage, collages having margins but potential for more beyond its frame. I have a sort of ‘frustration tolerance’ for this novel as I approach its closing collages of time (up to page 171), now with Lenni in 1947 with her ill-timed parents… One needs to be a Jungian to appreciate the Freudianism of this book, I sense. Planting candles in a mass grave seems the natural progression from planting them at individual graves, but equally provocative to the feelings that numberlessness or nemonymity somehow blur. Lenni absolves the destiny that is us after the Holocaust. A fitting end to the very fine (and, dare I say, criminally underrated) Frances Oliver canon of fiction (as I have personally experienced it in time and space). Meanwhile, I remember Leonora’s “little apple trees“, hearing the apples crump one by one in the night as I sleep in her house, the family’s house…our house? We children of epiphany.